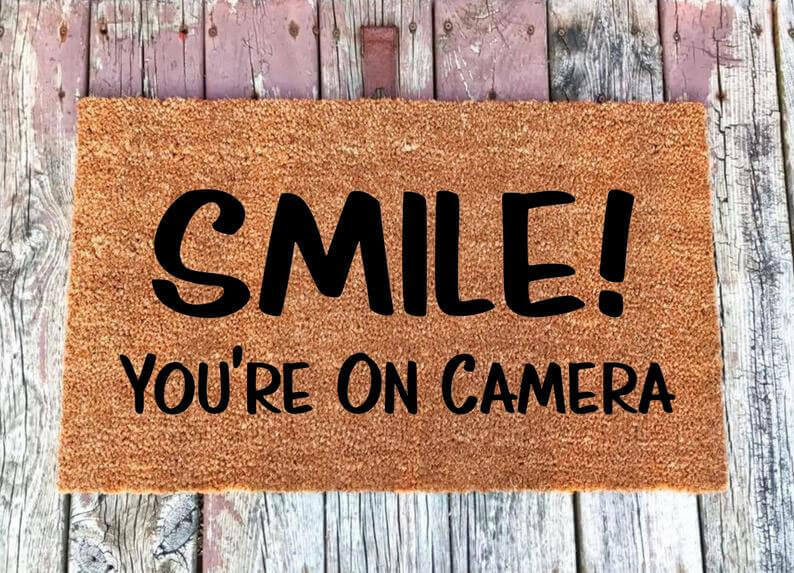 Get this funny home security doormat here. Looking for savings on popular sites such as Amazon? We use the free browser extension called Honey to apply coupon codes and research price changes of products. A motion detection driveway alarm can alert you when someone arrives on your property. You can also use it inside your mailbox if you’d like to know when your mail arrives. Especially if you have multiple entrances to your home, it can be difficult to determine if it’s safe to open your door. Sometimes you just want to act like you’re not home depending on the person that’s on your property. With a wi-fi enabled doorbell camera, you can use your phone, tablet, or computer see visitors and communicate with them. You can also install a peephole on your door. By monitoring your windows with a glass break sensor, you will instantly hear an intruder. 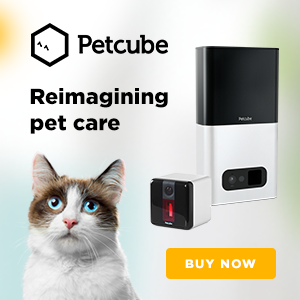 If the glass is disturbed, the sensor will alert you with a loud alarm. Adding motion lights will make it difficult for anyone to get around your property unnoticed. In addition to adding them to your porch, you should make it easy to see the perimeter of your home and around your yard. You can install lights that shine against your home and additional lights in trees to help illuminate your yard. If you’re not able to run a power supply, you can buy solar powered motion lights. If a home security system is not in your budget, you can also place home security signs in your yard and use window clings. You may want to consider a sign that does not include a specific home security system brand. A DIY home security system has the typical components such as door sensors, window sensors, and motion sensors. Most have a one-time fee that’s between $100 to $500. 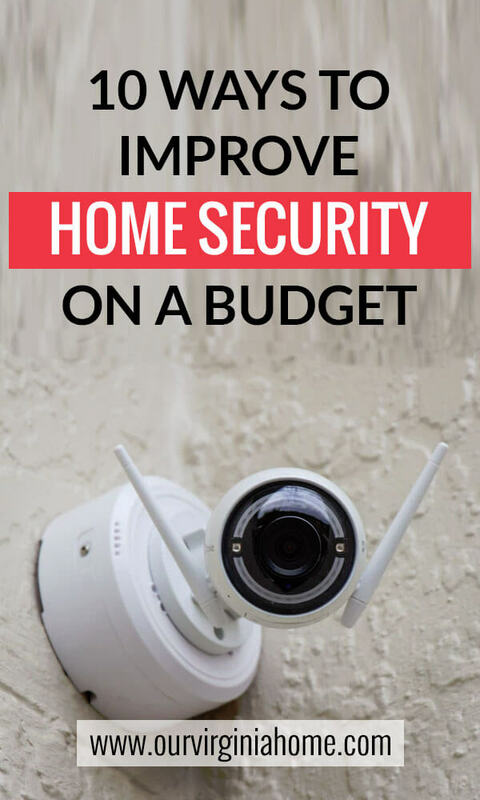 A wireless alarm system can be upgraded as you have room in your budget and you can move it in the future if you change homes. Many have an option to use online monitoring or a cell phone app so you can check on your home while traveling or at work. Use a door reinforcement kit for the jamb, frame, and strike plate on your door. You should also have a deadbolt installed on all exterior doors. We used the DEWALT Door Lock Installation Kit when we installed new locks and deadbolts on our doors. If you are in an apartment where you don’t have the option to make changes to your door, you can use a security door bar. This is also a good option for preventing forced entry through sliding doors. Also, don’t forget to keep the door between your living space and garage locked. Garages are often left open while you work in your yard or if you forget to close your door. You can use an electronic deadbolt that uses a code to unlock the door. Prevent mail theft by using a locking security mailbox. Larger boxes that lock will also make it less noticeable if you’re on vacation. It’s important that you maintain your yard so it doesn’t appear as if your home is vacant. Walk around your property to determine potential hiding places for a burglar. Your home should be visible from the street so your neighbors can help watch for suspicious activity. Do you have overgrown shrubs, bushes, and trees that are near windows and doors? Do you have tall trees near your second-story windows? Plants that are thorny can help provide security under windows and around the edges of your property. Although you might not care if your neighbors can see into your home, you’re advertising all of your valuables by keeping your blinds open. For windows that are difficult to cover, you can use a decorative window film. Using a digital programmable timer, you can make your home look “lived in” while you’re at work or on vacation. The timer allows you to automate when your lights are turned on around your home. You can also use a television simulator to make it look like your television is on while you’re away. Limit the announcements that you post online about upcoming vacations. You may assume that your status updates are only shared with your friends. It’s possible, though, that your updates can be viewed if someone’s account is hacked or they forgot to logout of their account on a public computer. Use a discus padlock that has a shielded design that protects the shackle from bolt cutters. Create permanent locking points for indoor and outdoor vehicles or bicycles. Using the Kryptonite Stronghold Anchor, you can attach a lock to solid concrete or trailer beds. Protect your trailer from towaway theft with the combination of a hitch lock and wheel lock. If you have an enclosed trailer, you should also add a door lock. If you found this article helpful, please share it on Pinterest.